We Live In A Political World: #46 / No Questions! Got It? #46 / No Questions! Got It? 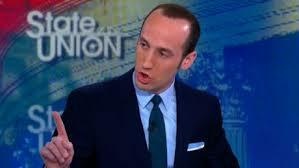 Stephen Miller’s authoritarian declaration: Trump’s national security actions "will not be questioned"
Miller, in case the name escapes you, is pictured above. He is identified by CNN as "President Donald Trump's speechwriter, confidante and the author of his controversial immigration ban." Even if you don't remember Miller's name, you probably remember that ban. That's the ban that was not discussed in advance with almost anyone but "inner circle" types in the White House. That's the ban that led to amazing, spontaneous protests at airports all across the country. That's the ban that was stayed by a federal court judge. And that's the ban that was unanimously upheld, when the stay was reviewed by a three-judge panel of the Ninth Circuit Court of Appeals. The Ninth Circuit decided that the stay was proper because it seemed likely that the ban was unconstitutional, and because the President could show no compelling reason that the ban had to be implemented immediately. I wrote about that ban earlier. DICKERSON: When I talked to Republicans on the Hill, they wonder what ... have you all learned from this experience with the executive order? MILLER: Well, I think that it's been an important reminder to all Americans that we have a judiciary that has taken far too much power and become, in many cases, a supreme branch of government. 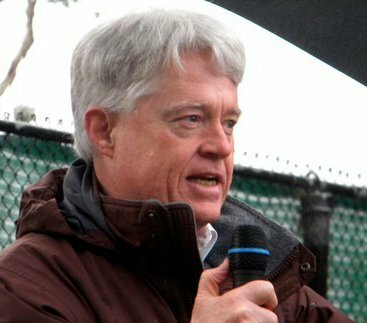 One unelected judge in Seattle cannot remake laws for the entire country. I mean this is just crazy, John, the idea that you have a judge in Seattle say that a foreign national living in Libya has an effective right to enter the United States is -- is -- is beyond anything we've ever seen before. As The Washington Post noted, "Miller's statement that the exercise of presidential powers 'will not be questioned' is an incredible claim to executive authority -- and one we can expect to hear plenty more about. Trump has beaten around this bush plenty, yes. But Miller just came out and said it: that the White House doesn't recognize judges' authority to review things such as his travel ban." That's not the way the Constitution says it works. In fact, when people want to question a presidential order, the courts stand ready to consider the question, and hear what response, if any, the president has. The courts do tend to defer to the president, when he claims to act to protect the country. But that doesn't mean that questions can't be raised. The problem for Miler, and the president, where this "ban" of his was concerned, is that the "ban" was not well thought through, and appeared to violate due process and other guarantees found in the Constitution. And let's remember the first words of the Constitution: "We the people." The president works for us, not the other way around. We can question anything, and with this president, we really need to be ready to do just that!